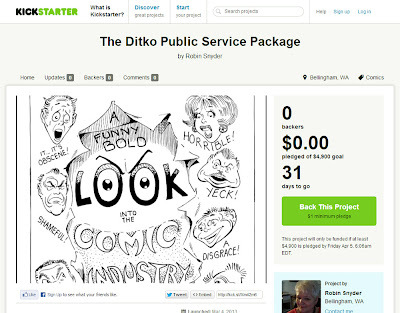 Robin Snyder has just announced a Kickstarter project for a reprint of the long unavailable 1991 DITKO PUBLIC SERVICE PACKAGE. Check it out at the link. I'll post more about the contents of the book over the next few weeks.